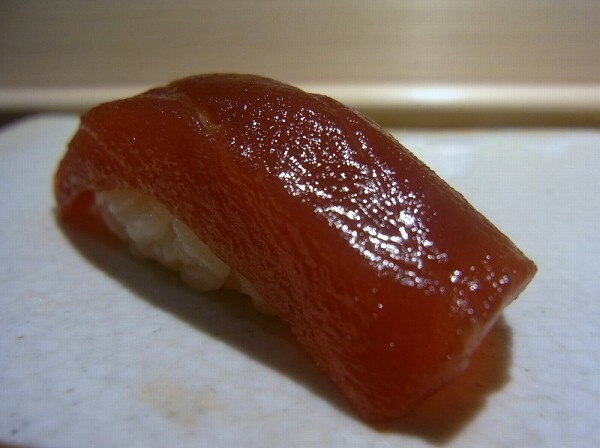 Its hard to say which sushi restaurant is the best in Tokyo, but when it comes down just to maguro (tuna) no one will argue that IRIFUNE at Okusawa serves the best maguro in Tokyo or in the world. At Tsukiji fish market regarding maguro there is one rule. 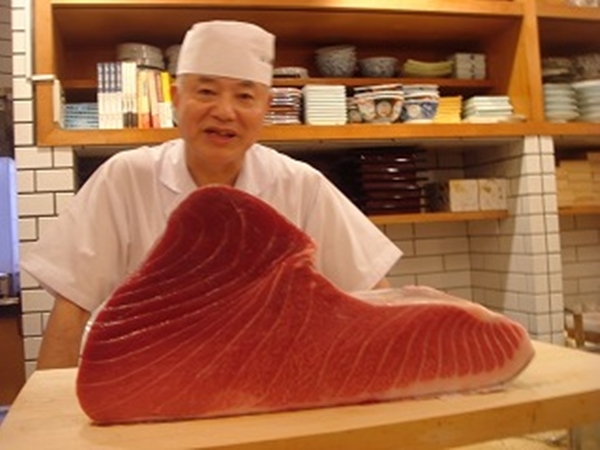 When chef/owner Honda places an order at the most famous intermediate wholesaler, the best maguro goes to Irifune. 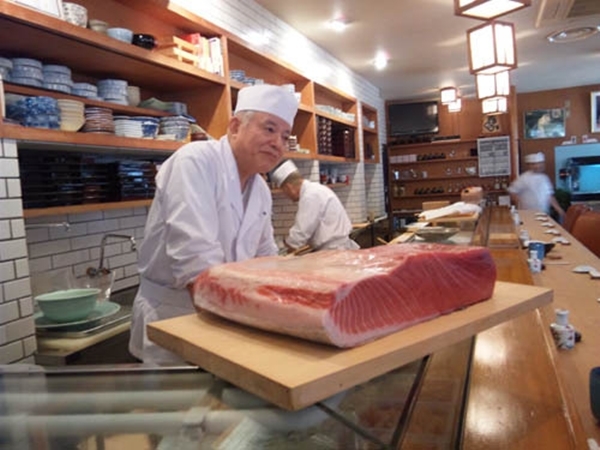 Whatever the price is, he has been purchasing the very best maguro ever since he opened his restaurant. 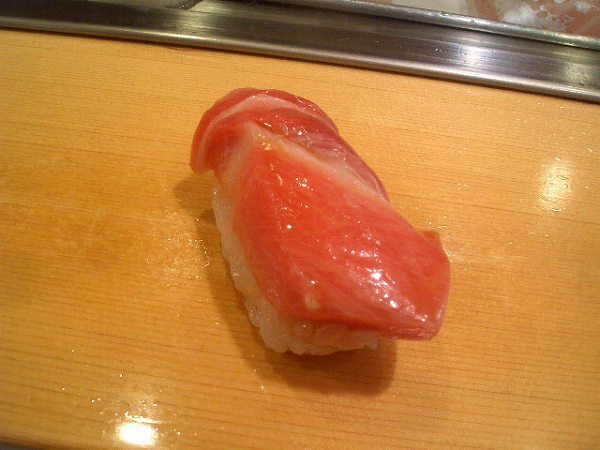 You want to have every part of maguro you can at Irifune, but you do want to start out with least fatty part, Akami (red part of tuna). Even though its the least fattiest part, it will be the richest akami in flavor you ever had. 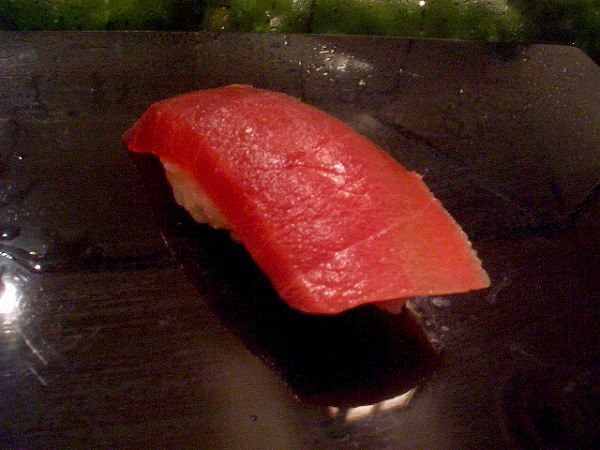 Most people enjoy toro (fatty tuna) more than akami, but I like akami more in general and their akami just knocks me out whenever I dine here. 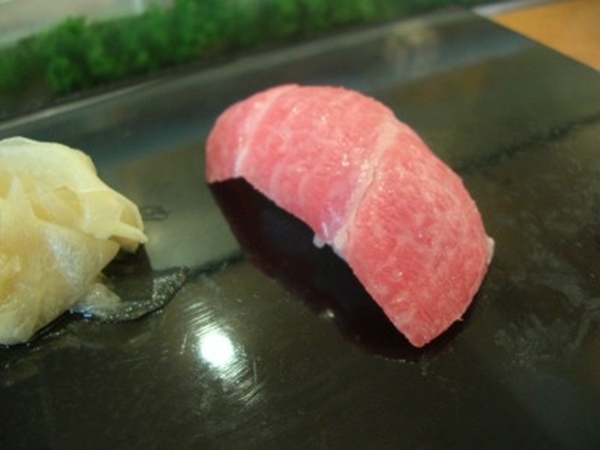 Then you might want to try CHUTORO (Medium-fatty tuna), which will be considered regular ootoro (fatty tuna) at other restaurants. 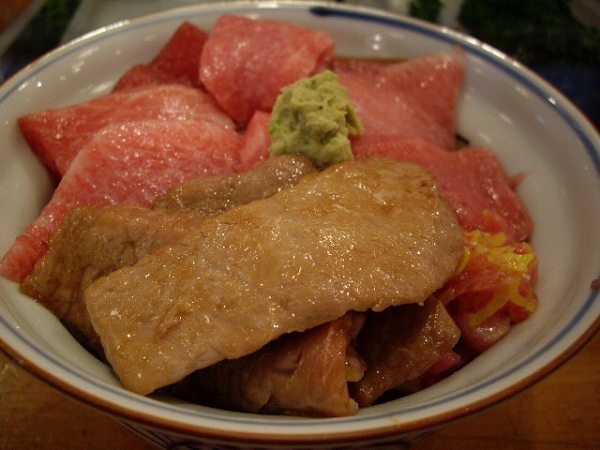 If they have a chutoro part called wakaremi, its the most delicious part of chutoro. Just ask the chef if they have it or not. 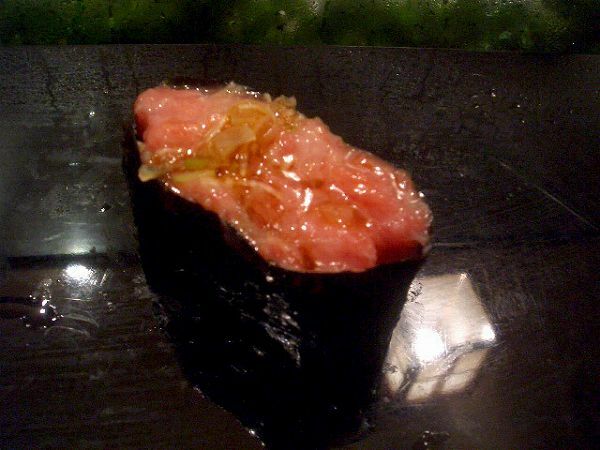 but their most famous maguro sushi of all is ABURI (Broiled fatty tuna), which Chef Honda invented and available at most sushi restaurants around the world. It just melts in your month. 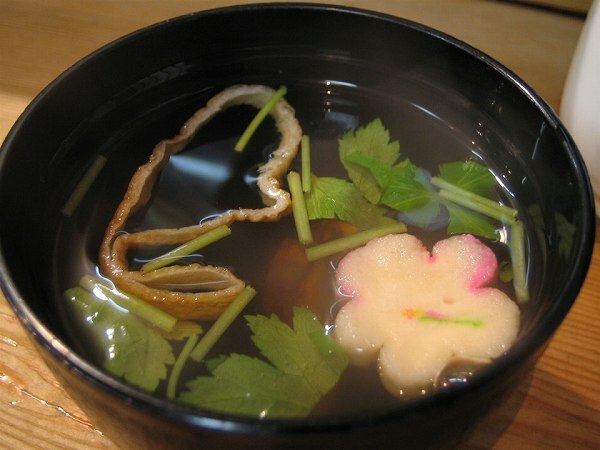 If you want to enjoy ootoro in a different way, they can add a slice of garlic which is dipped for awhile in soy sauce called OOTORO NO SHOYU ZUKE. 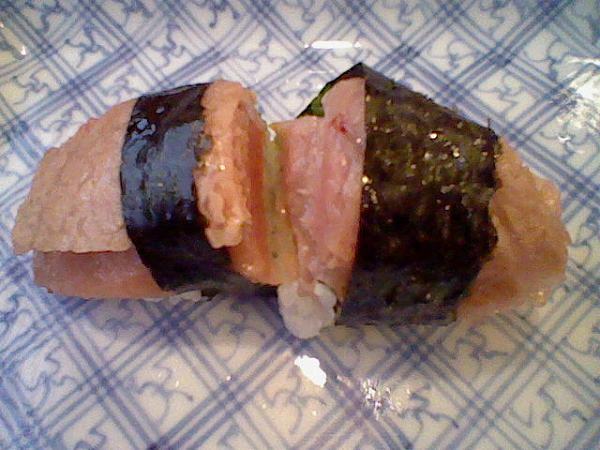 and ZUKE (Akami marinated in soy sauce). 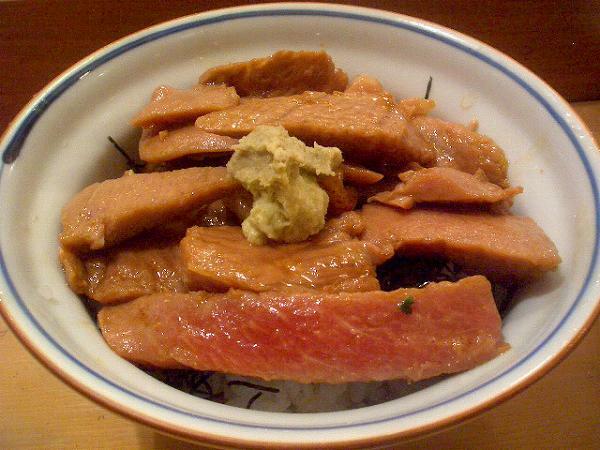 or OOTORO ABURI DON (Broiled fatty tuna over rice) for 10,500 yen. 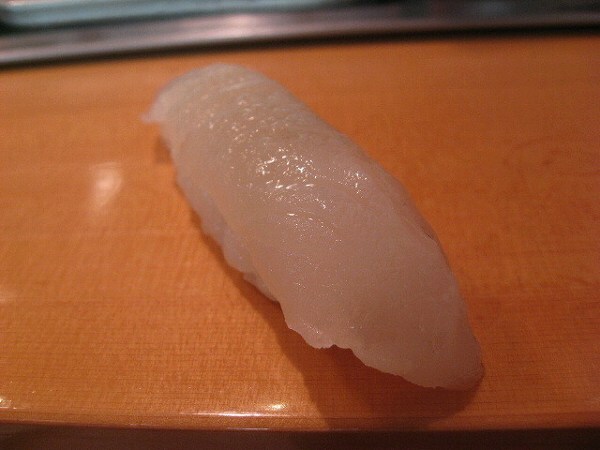 Other fishes are just a little above average and there are tons of better sushi restaurants to dine at if you want other top quality fish. 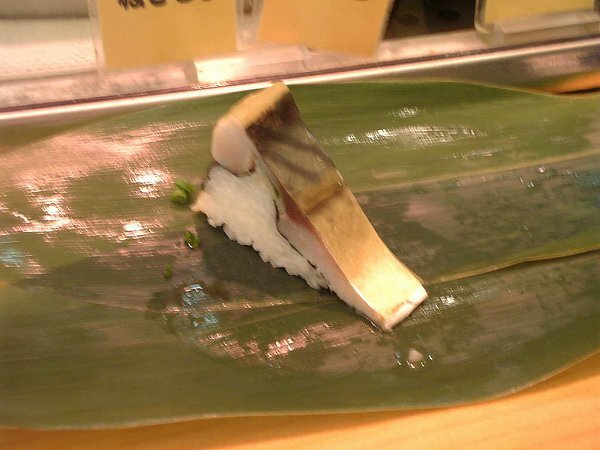 But if you want maguro, this is the go to place in the world. 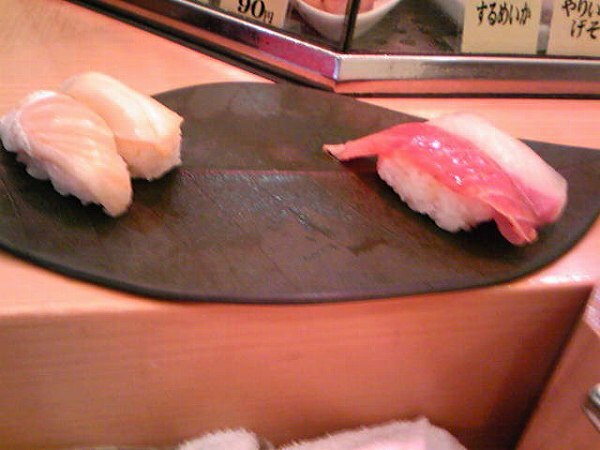 Prices are reasonable compared to other top sushi restaurants and it is located in a residential area of Tokyo. Their interior is old style and not fancy or modern like other top sushi restaurants and probably has been the same since it opened in the 70's, My brother who is a sushi chef in Houston, dreamed about dining at Irifune for years and when he visited us for the first time in 15 yrs and found out it that it was only minutes away from our house, his dream finally became true. 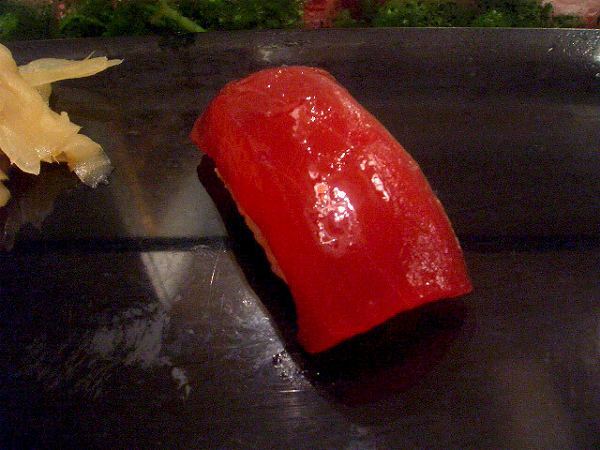 He had nothing but a big smile on his face and I'm sure you will too, if you love maguro. 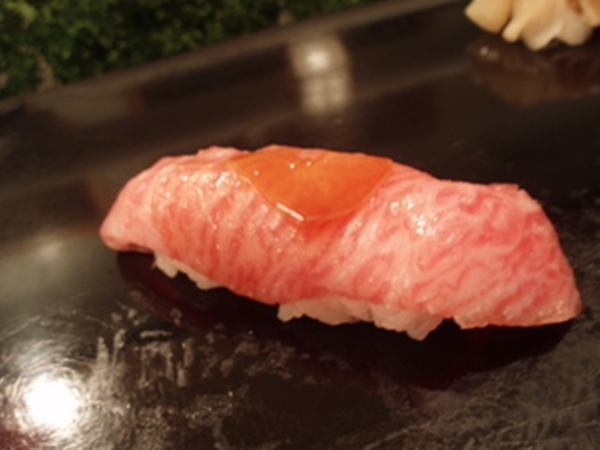 Also, best season for maguro is from November to February, so if you can try to dine during this period. 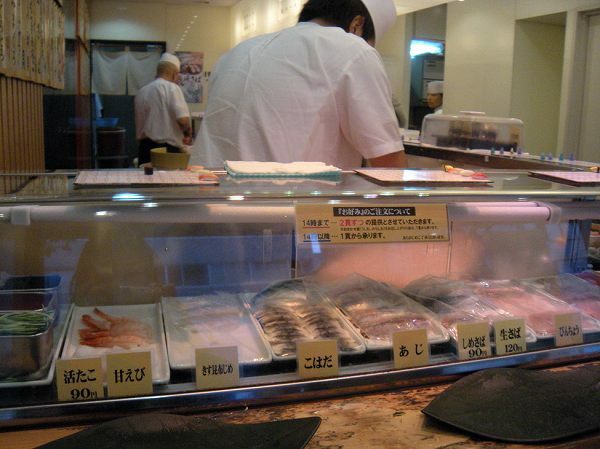 If you don't want to wait a couple of hours to eat at Sushi Dai, but still want to eat sushi for a cheap price in Tsukiji, there is CHIYODA SUSHI. 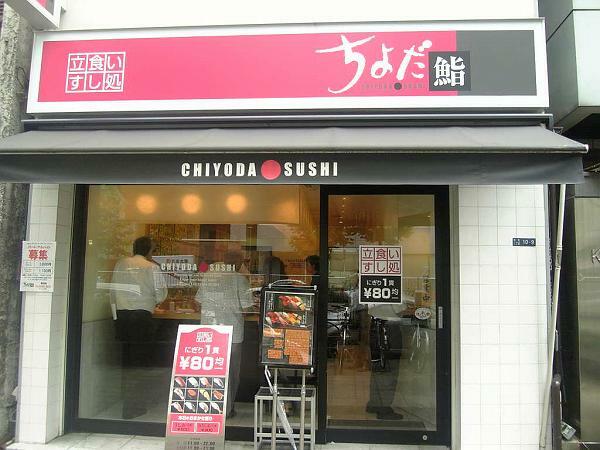 Chiyoda Sushi is a stand up restaurant meaning there is a sushi counter with no seats. They actually have multiple locations through out the Kanto region and cost performance wise probably one of the best. Their menu is very simple. You either choose one of the set menus or order by piece. 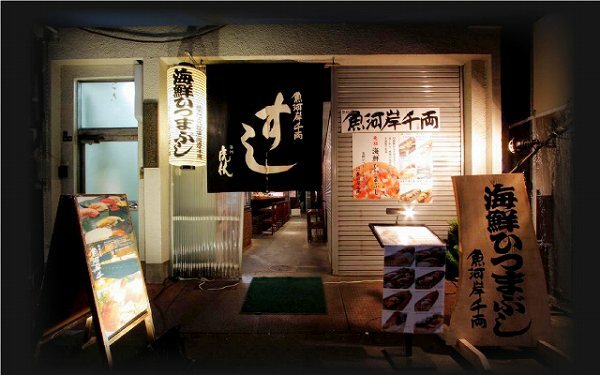 The set menus are USHIO (8 pieces of sushi selected by chef) for 590 yen and MICHISHIO (12 pieces of sushi selected by chef) for 890 yen. The chef will give each customer 4 pieces of sushi at a time and when you are about to finish eating it, the next four will be served. 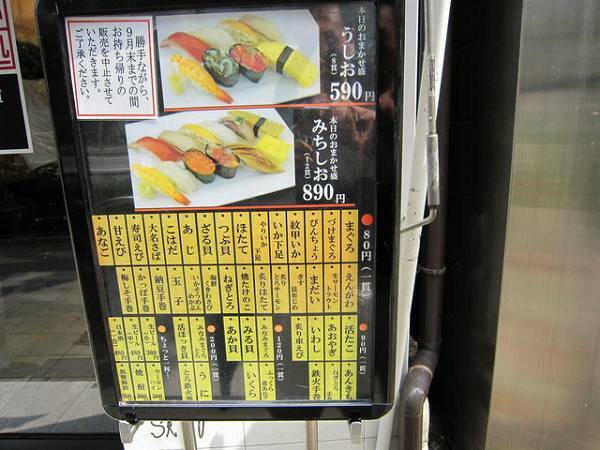 They also have sushi's for 90, 120, and 200 yen. 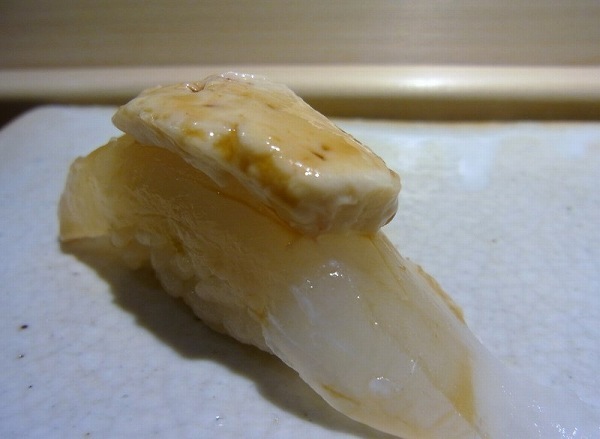 A must order is FUTKURA NIANAGO (Fluffy Sea Eel) for 120 yen. 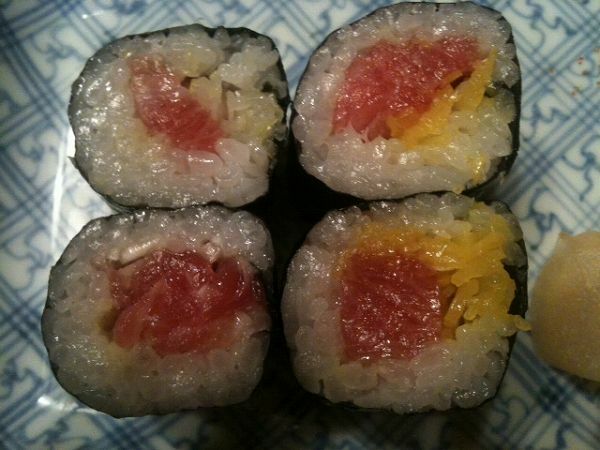 If you decide to order by piece, before 2pm you must order 2 pieces of same sushi for every order. But after 2pm you can order just 1 piece at a time. 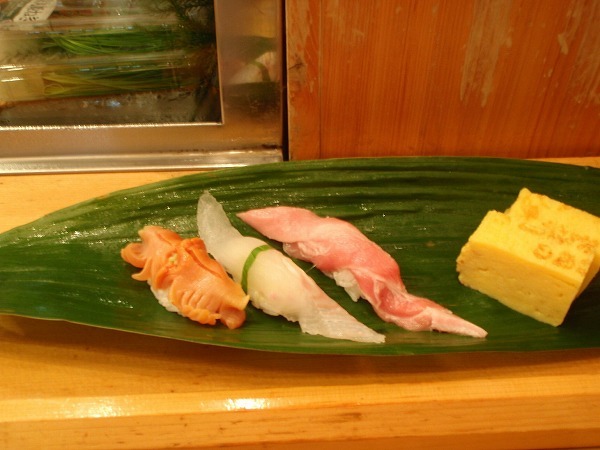 If you want to have sushi at Tsukiji (its not located in the fish market, but near by) or just even have a couple of sushi's for a snack do consider Chiyoda Sushi then. 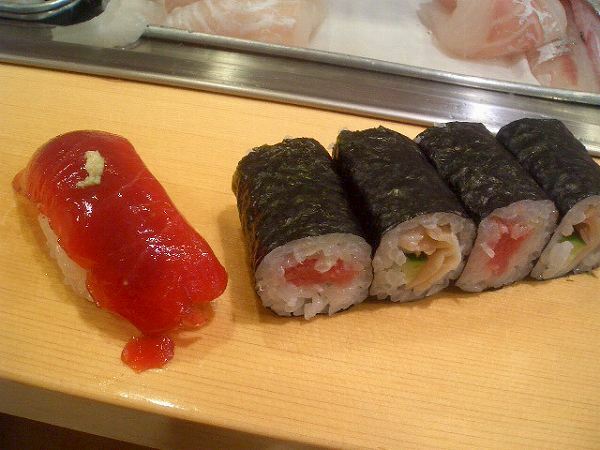 Must order 2 pieces of same sushi until 2pm. After 2pm can order just 1 piece. 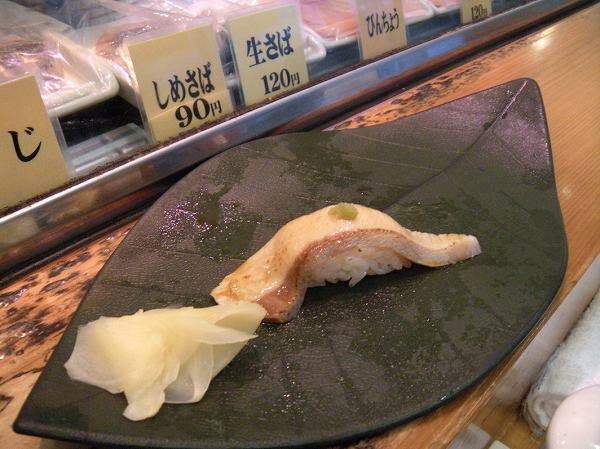 Wanna eat Unajyu (Grilled Sea Eel over Rice) for a reasonable price in Tsukiji? 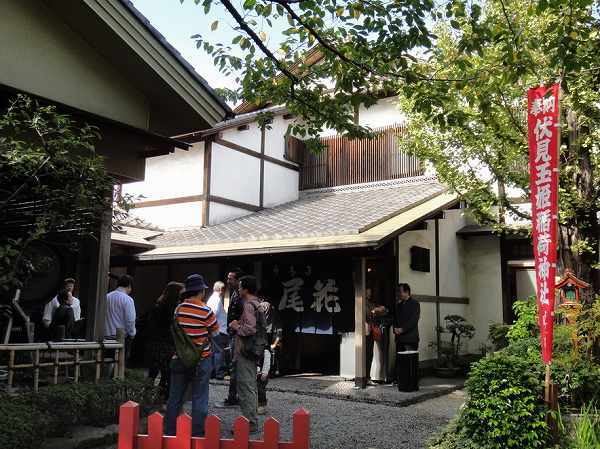 Then MARUSHIZU is one of the few places to go. 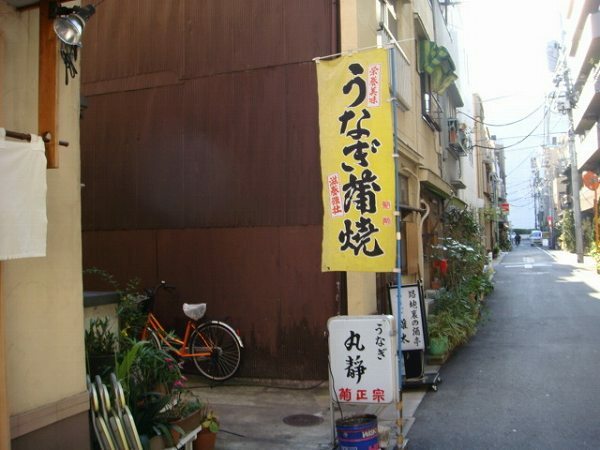 Its only minutes away from Tsukiji Fish Market, but in a small alley where its a bit hard to find. 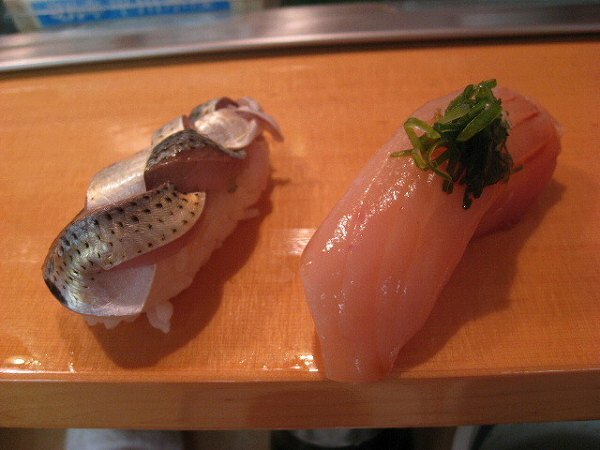 They only have UNAJYU (Grilled Sea Eel over Rice) and SHIRAYAKI (Non-flavored Grilled Sea Eel). 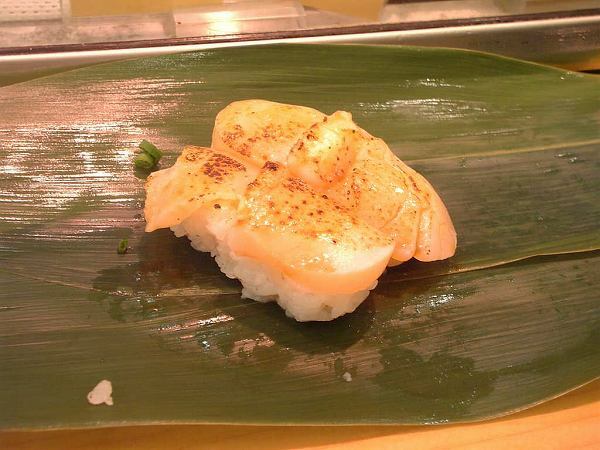 or OMI (Extra Large Grilled Sea Eel over Rice) for 2,600 yen. They don't name the sizes by large, medium, or small. They use Japanese names from the past for explaining the sizes. 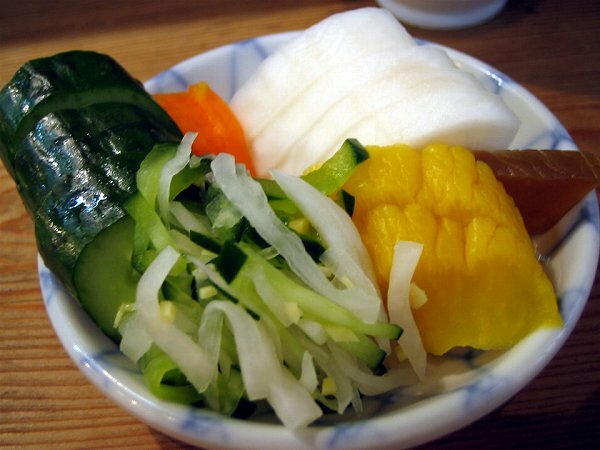 and also, a small OSHINKO (Pickles). 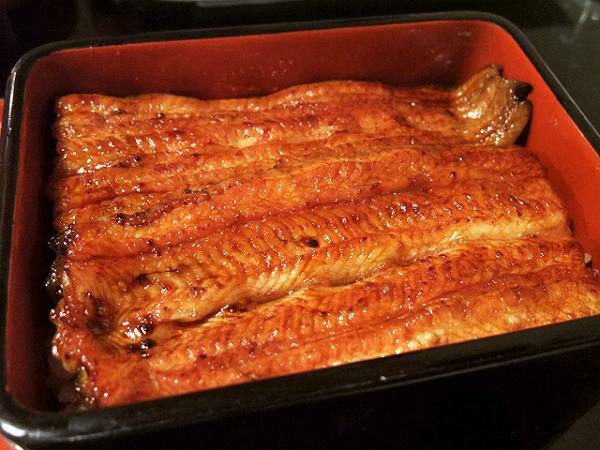 The unagi is precooked, grilled once and steamed. 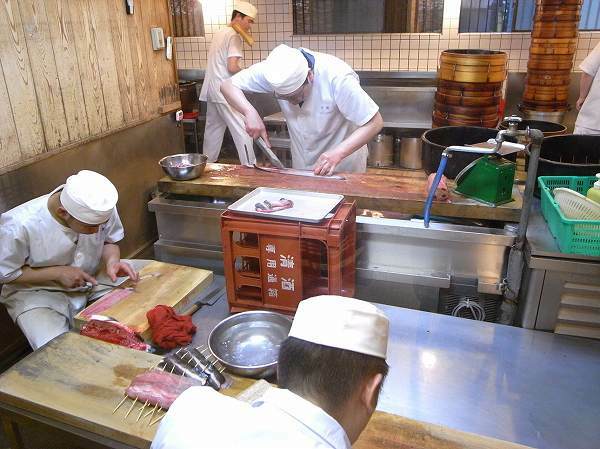 Once they get an order they will take the unagi out of the steamer and give it a final grill. So, unlike top unagi restaurants which start from slicing the uncooked unagi, it comes out pretty quickly, usually in about 5 minutes. Its a small restaurant with only about 10 seats and during lunch time there could be a decent wait, but not during dinner time. 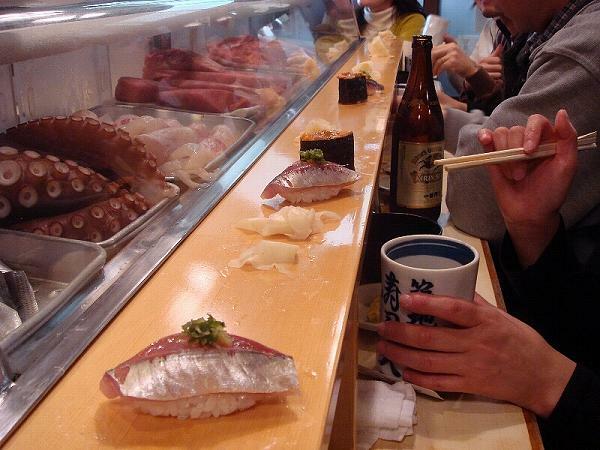 If you are willing to wait 2-3 hours to eat sushi at Tsukiji Fish Market, SUSHI DAI is the place to go. Its probably recommended or introduced on most tourist guide books. 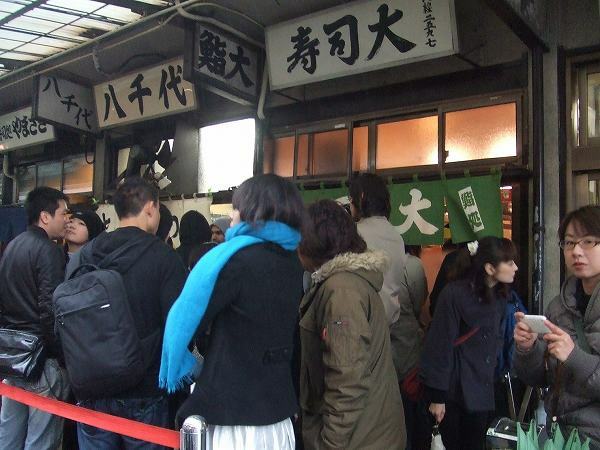 20 yrs ago, Sushi Dai was popular, but never a 2-3 hour wait. 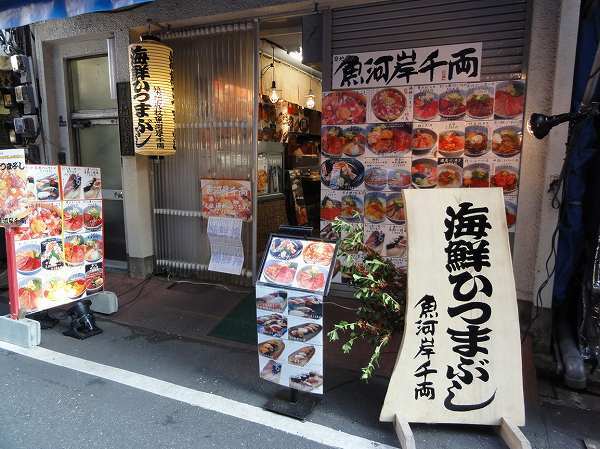 I use to eat here at least 2-3 times a month, but over the last 10 years its the go to place for not only foreign tourists, but Japanese tourists as well and I stopped going since I can't wait 2-3 hours for just sushi breakfast/lunch. 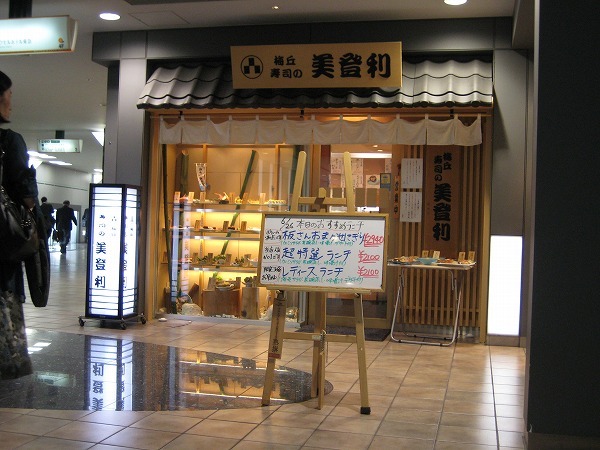 The reason why Sushi Dai is so popular is because of their cost performance and probably location as well. Of course, you can order piece by piece, but most people order either OMAKASE COURSE (10 pieces of sushi chosen by the chef plus 1 piece fish of your choice with 1 sushi roll, rolled egg and miso soup) for 3,900 yen or JYOU SUSHI (7 pieces of sushi chosen by chef with 1 sushi roll, rolled egg and miso soup) for 2,500 yen. 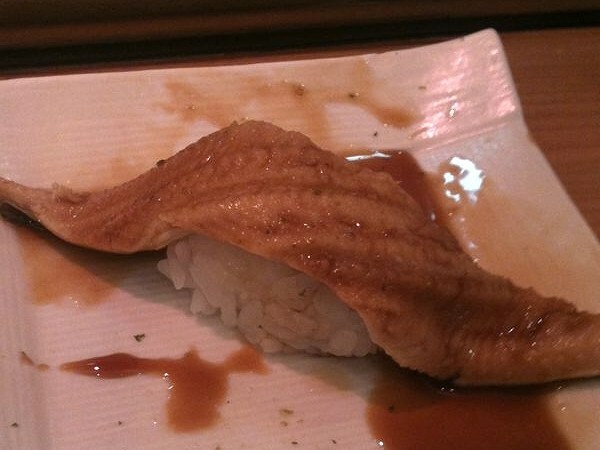 They use top quality fish available at the market and could charge at least 50% more for this. 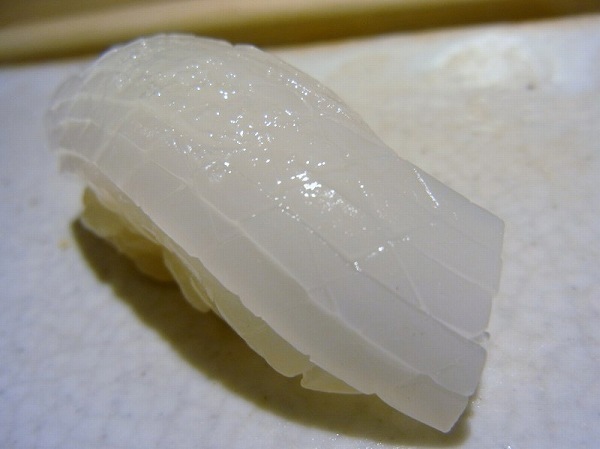 Here is what you get for a Omakase Course. 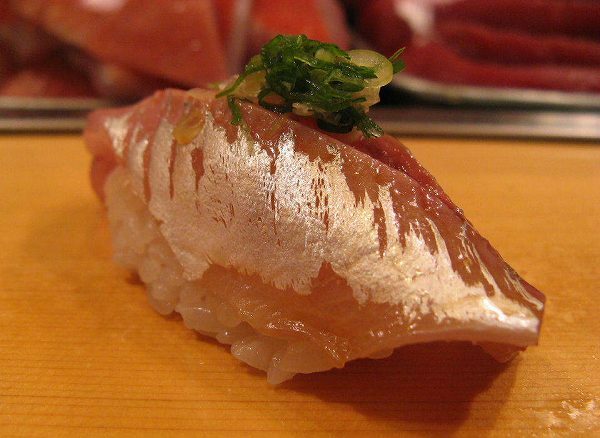 Of course, fishes used for sushi will change by season and whats available at the market, but Toro, Anago, Tetka Maki will always be served. Sushi Dai only has 12 counter seats and even though people are waiting in line they provide top quality service and also will not rush you to leave. 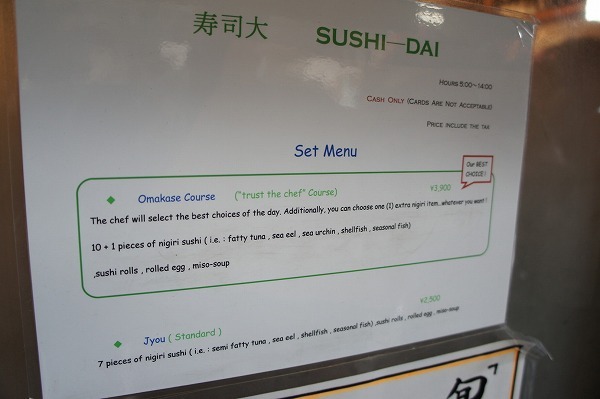 So, if you really want to eat sushi inside Tsukiji Fish Market and willing to wait a couple of hours, go to Sushi Dai then. 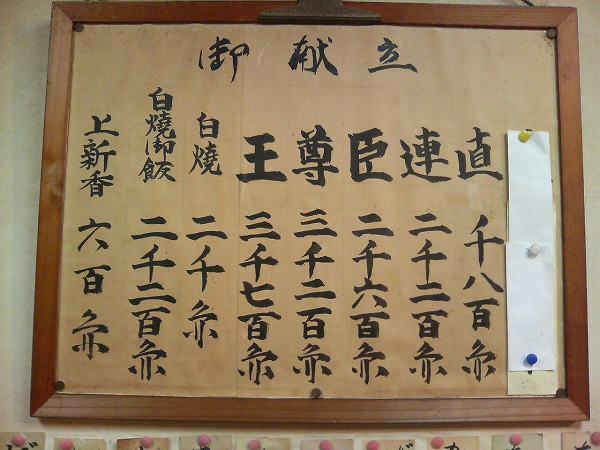 English menu: There is a simple one on the door. 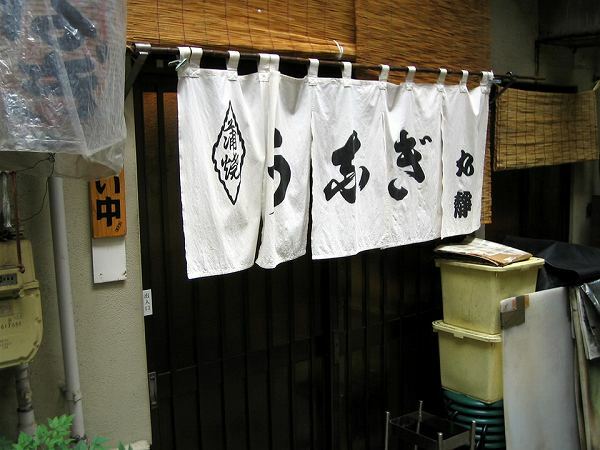 Closed: Sunday, Holiday and also when Tsukiji market is closed. 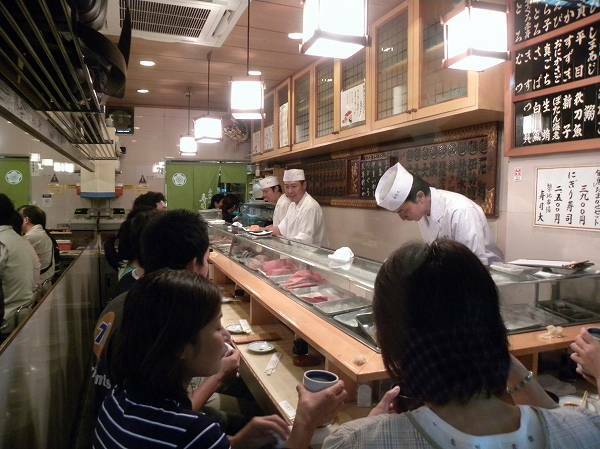 There are many breakfast/lunch restaurants in and around Tsukiji fish market. 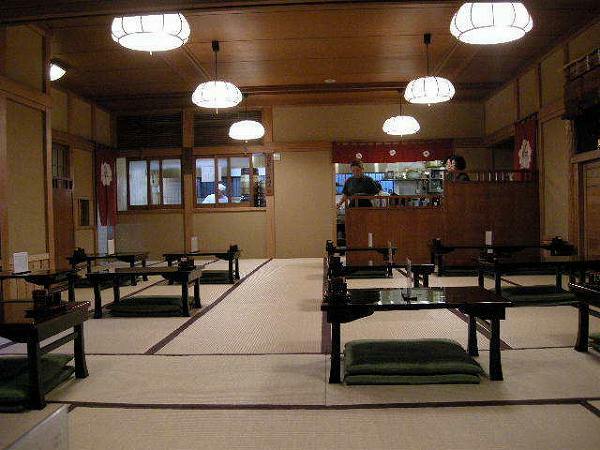 My old office was at Tsukiji and we would go eat at these restaurants daily. 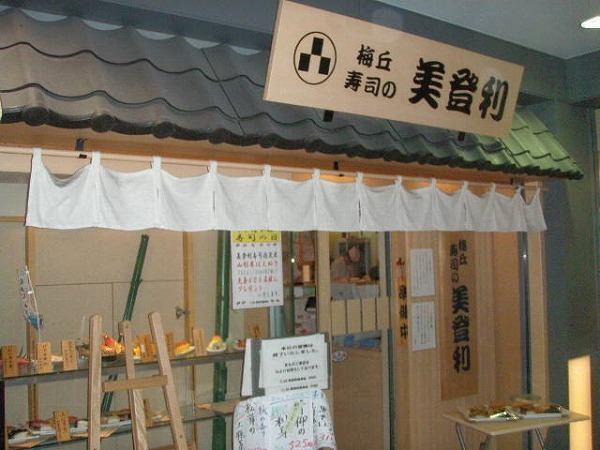 Most of the places that I went to were for people working at the market not tourist, but at TSUKIJI ITADORI UOGASHI-SENRYO everyone came to eat. 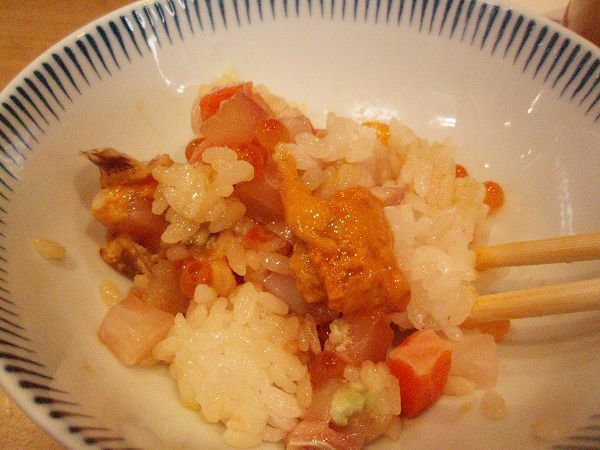 First bowl, you want to put Uni (sea urchin) aside and mix it a little and add wasabi & soy sauce. 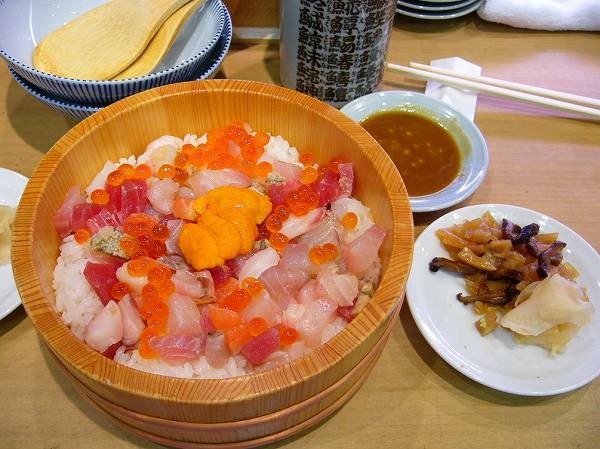 Next bowl, the waiter/waitress will add Uni (sea urchin) and mix it well for you. Add a little wasabi & soy sauce, if you like. 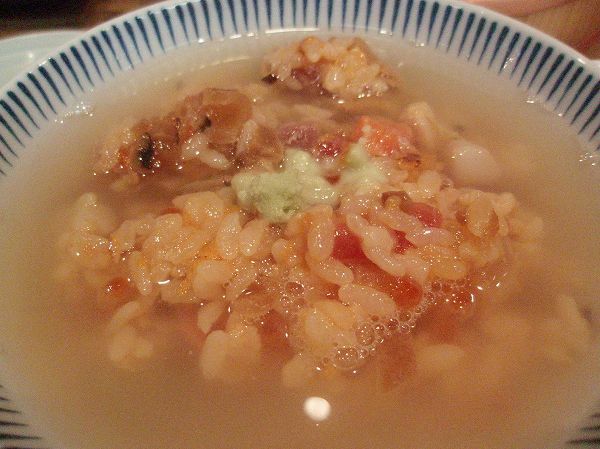 The last bowl, add fish broth over it and have it as a Ochazuke (rice with broth or green tea). If you want there is regular sushi as well, but I strongly recommend to have the above since you can't have it anywhere else. 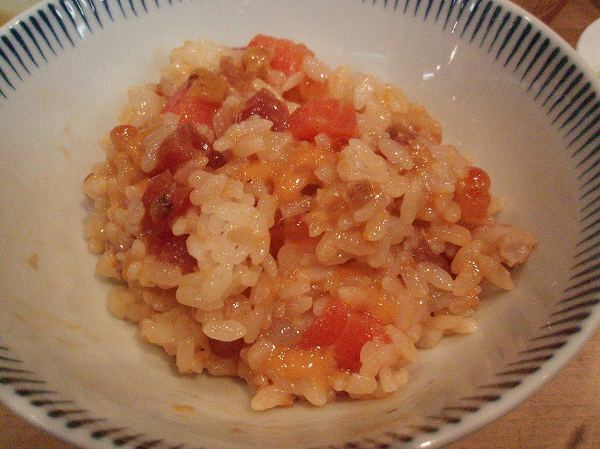 One of the most famous TV gourmet reporters said this is by far his favorite way of eating raw fish with rice and it is one of mine as well. Only problem is that the portion is fairly small for men like me. 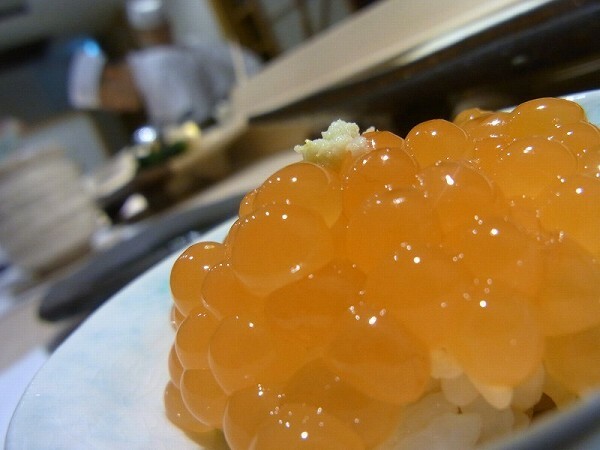 Wanna go to one the best sushi restaurants in Tokyo? Well, your bill will be somewhere between 20,000-40,000 yen per person not including drinks. I personally don't trust Michelin or Zagat when I have to spend this much for dinner. 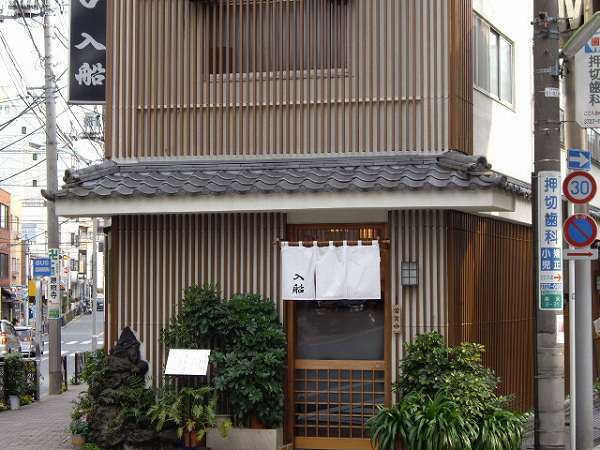 For example, many of my friends ask me about Sukiyabashi Jiro, Michelin 3 star and one of the most famous sushi restaurants in Japan, where even one the most famous chef's in the world, Joel Robuchon dines whenever he is in Tokyo. 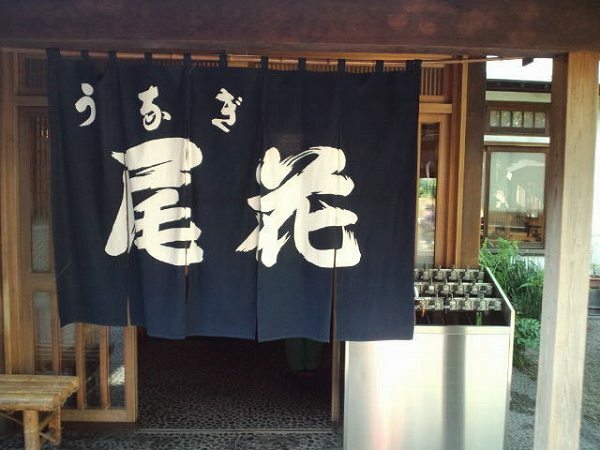 Of course, the sushi is good, but there is almost zero service and you will be only eating there for 20 min, since chef Jiro will only provide a one course menu at his pace. And your bill will be over 35,000 yen. 35,000 yen plus for 20 min? I could never do it again. 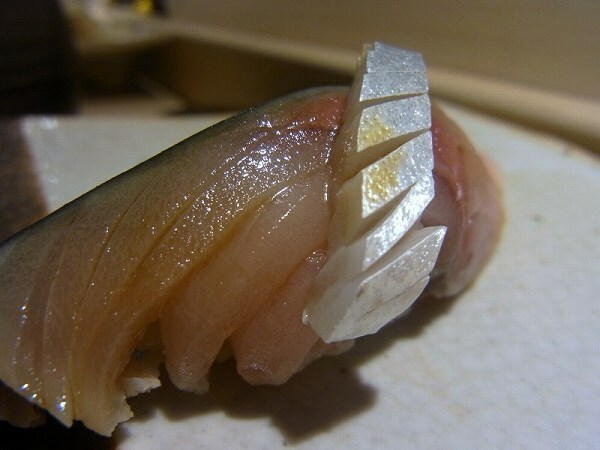 For me, if I had to spend so much for top sushi, of course fish has to be top quality, but also how the rice is flavored and service of the chef is important as well. 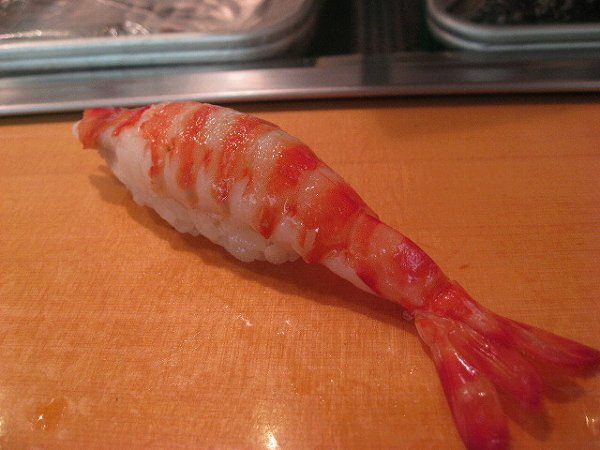 A fairly new sushi restaurant in Nishi Azabu called SUSHISHO MASA is one of the few top sushi restaurants which satisfies all my needs. 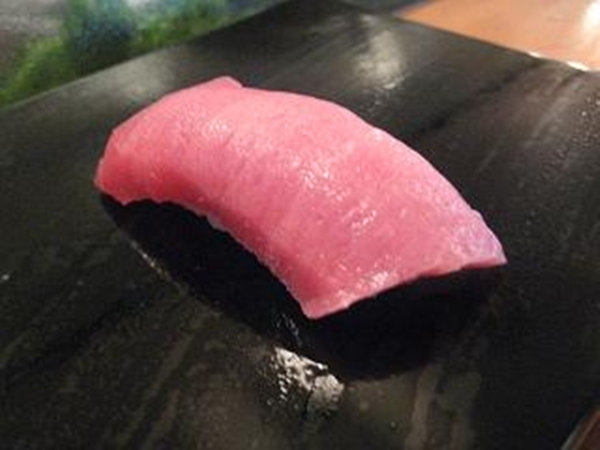 Chef Masa trained at Umi in Aoyama and Sushi Sho in Yotsuya. After training at such top Tokyo sushi restaurants, he even went out of Tokyo to train at other top sushi restaurants, which is very rare. 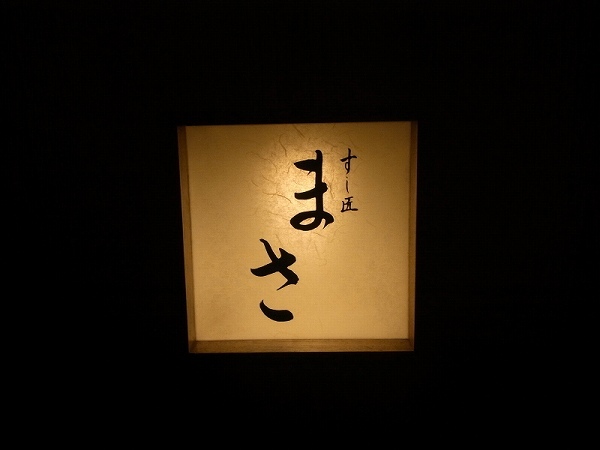 I was taken to Sushisho Masa for a business dinner and loved everything about the restaurant. 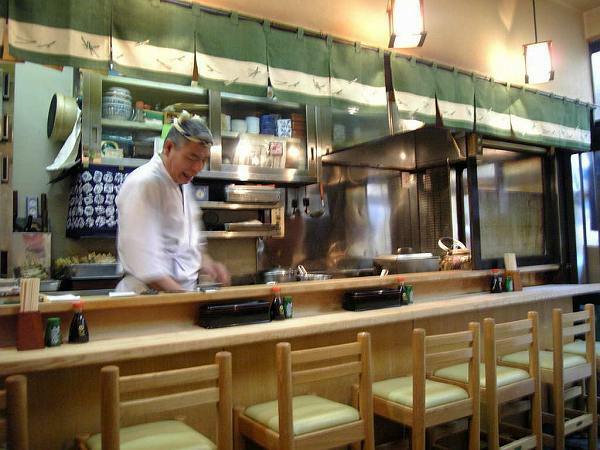 Fish, rice and especially chef Masa will make sure customers will go home satisfied with at least his service. 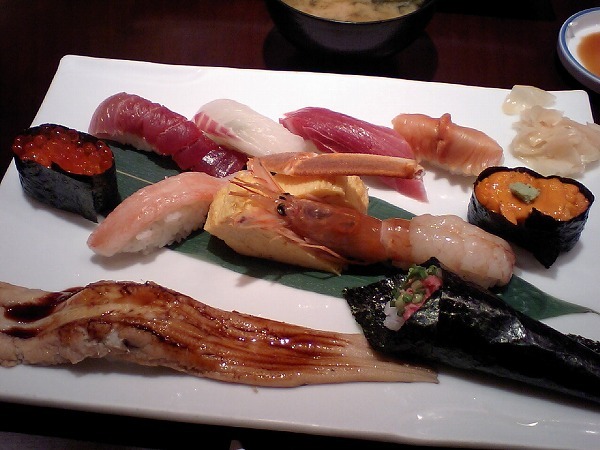 His sushi isn't the typical Edo-Mae Sushi (authentic Tokyo style sushi), its a mixture of all kinds of sushi. 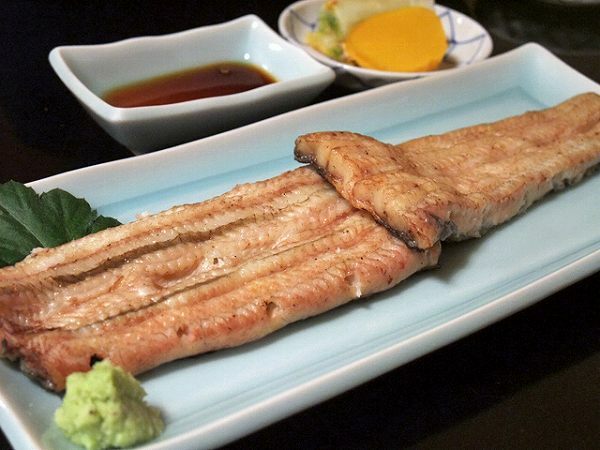 For example, he will serve Anago (sea eel), one with salt and the other with tsume (sweet sauce). 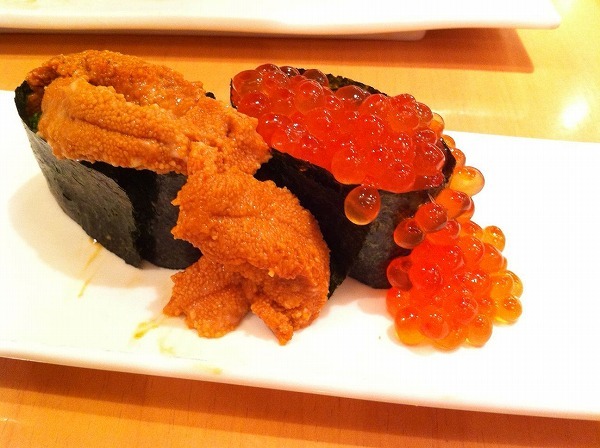 Ikura (salmon roe) won't be wrapped around with seaweed. 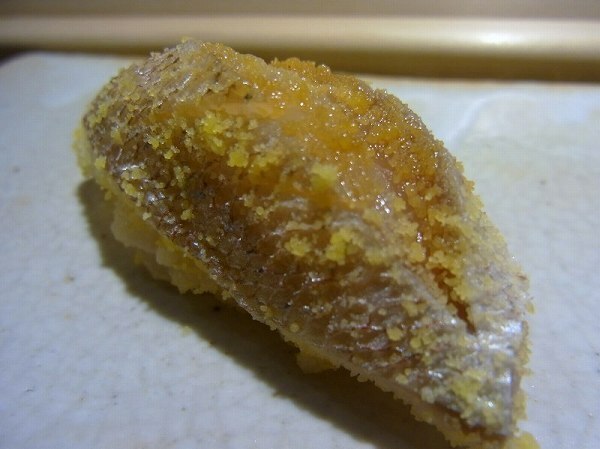 and also, Kinmedai-no aburi (lightly grilled golden eye sea bream) is another sushi you won't find at most sushi restaurants. 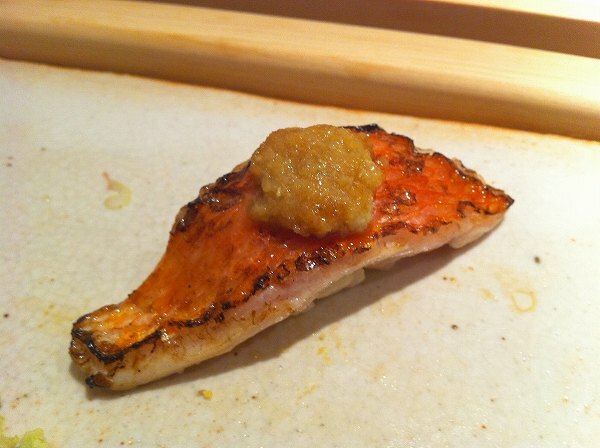 There are only seven seats at Sushisho Masa and also no menu except for the sake list. Start with some sashimi first and then move on to sushi like most people do at a top sushi restaurant. Just tell chef Masa what you don't like and he will serve you accordingly. Since his restaurant has become so popular now, you will have to make a reservation 4-6 weeks in advance (if its past 11pm you might be able to get a table earlier), but chef Masa who will remind you of an one to one marketing expert will make sure that you had a great night dining at his restaurant. He is one of the great young chef's in Tokyo. 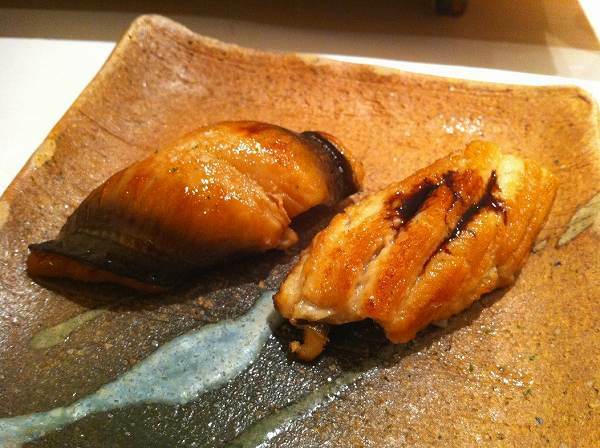 Unagi (Sea Eel) chef's usually are trained to only cook Unagi nothing else. It is said to obtain proper technique, sticking takes 3 yrs, splitting takes 8 yrs and grilling takes a lifetime. On how to split and cook it varies by east and west. For example, Tokyo (Kanto area) splits it from the stomach and steams it once before its final grill, but Osaka (Kansai area) splits it from the back and doesn't steam it at all, only grills it. 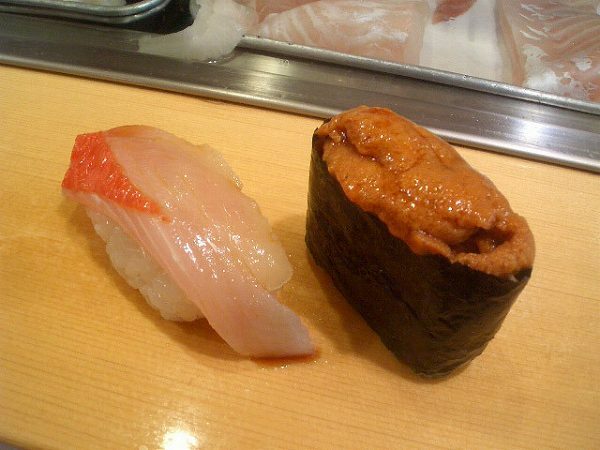 Tokyo Unagi restaurants are softer and less fatty since its been steamed once, and Osaka Unagi restaurants are chewer and oilier. 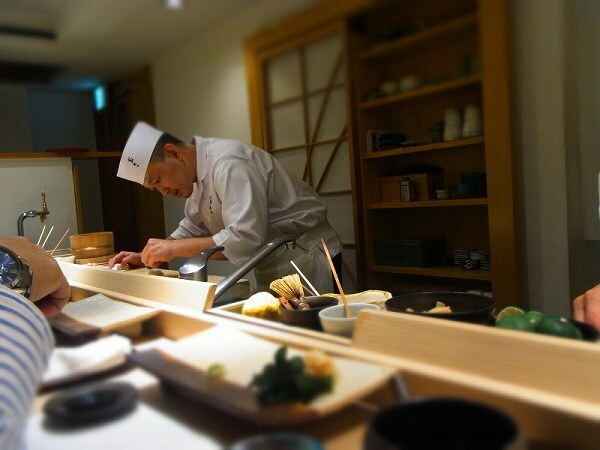 OBANA in downtown Tokyo is one of the finest Unagi restaurants in Japan. 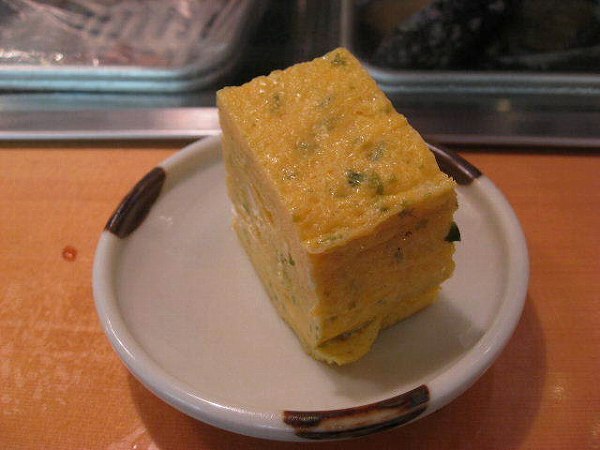 My mother's side is from downtown Tokyo and whenever we came to visit them we would always go out to eat at Obana. 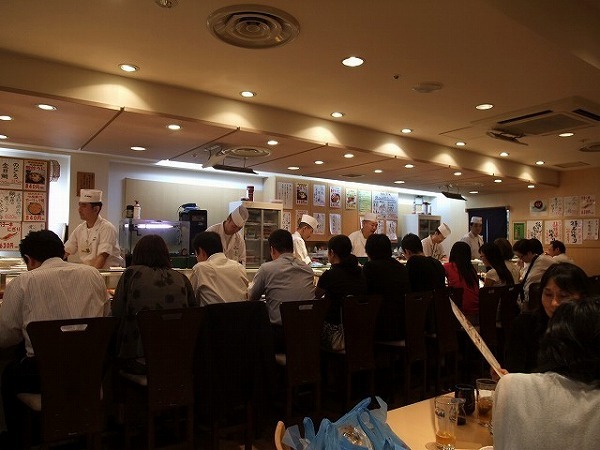 I always looked forward eating there, since it wasn't common for us to eat Unagi at home, (we were living in Kobe at that time) but it was years later that I found out that Obana is considered the best Unagi restaurant by Unagi freaks. 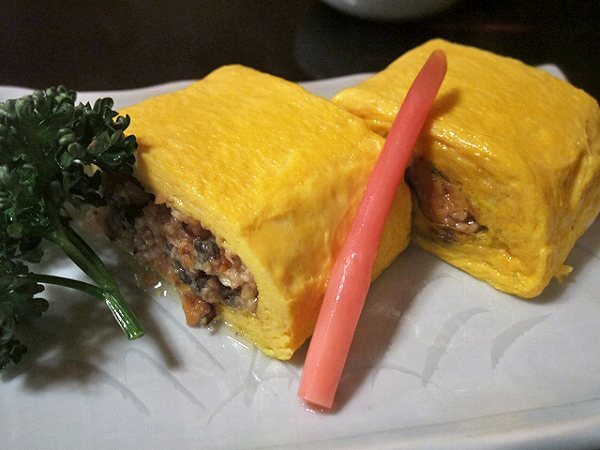 or order UMAKI (Grilled Sea Eel Egg Omelet) or even both. 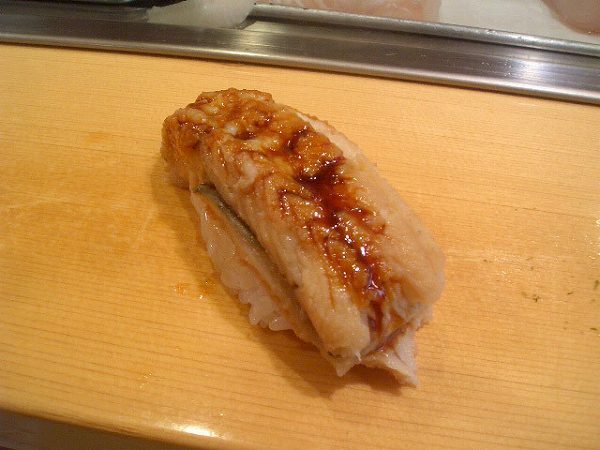 Next or even if you didn't order Usaku or Umaki, a must is ordering a non seasoned plain grilled unagi called SHIRAYAKI, which you eat with soy sauce and wasabi. Of course, if you can drink, you want to order a bottle of sake or beer with all this. 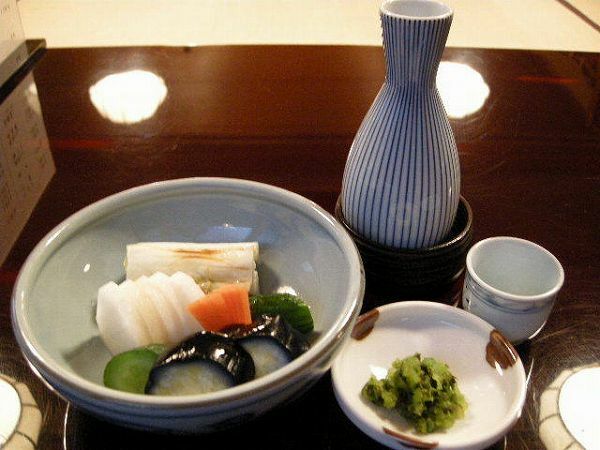 At the very end, have the main dish UNAJYU (Grilled Sea Eel over Rice). 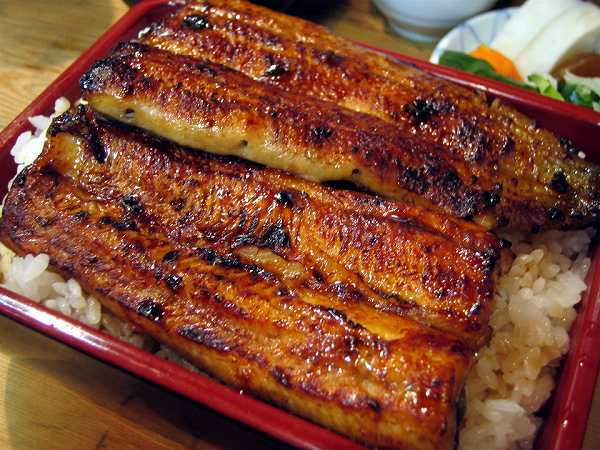 Whats different about Obana's unagi is that there aren't many burned spots on it when others have many. 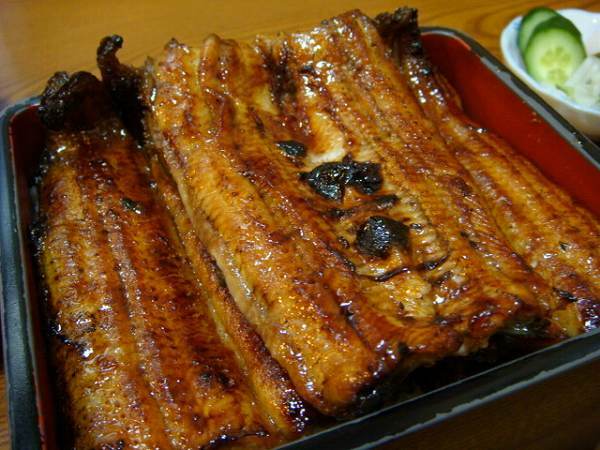 It is lightly grilled and to people who prefer the smell of charcoal on the unagi it may not be satisfying, but you don't see others who can grill it like Obana. 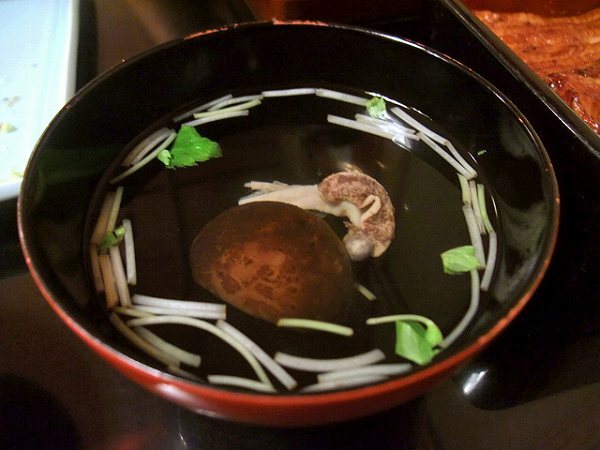 Also, you want to order KIMOSUI (Liver Soup) with Unajyu. Obana doesn't take reservations so there could be a decent wait, they don't have private rooms and its not in a tourist area at all, but its one of downtown Tokyo's finest restaurants. 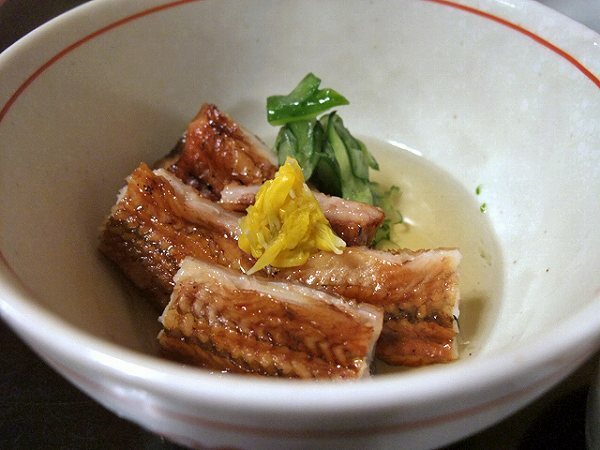 If I had to recommend just one Unagi restaurant to go to it will be Obana. 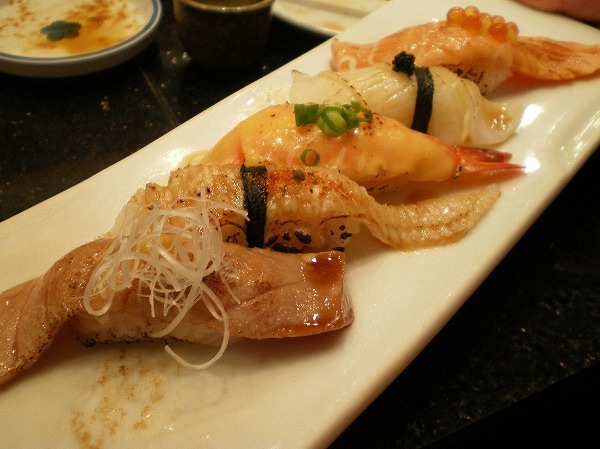 MIdori Sushi has several locations. Ginza, Akasaka, Shibuya, Daikanyama and 5 other locations, None of them take reservations and the wait could be as long 90 min especially Shibuya location. So, if you are in a hurry, this place isn't for you. 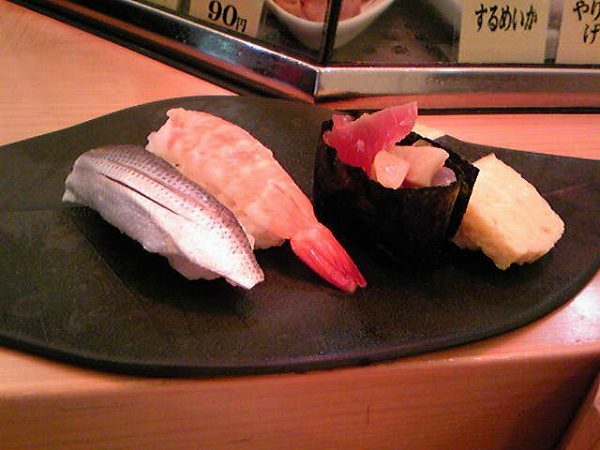 Also, unless you drink a lot your bill will normally be under 5,000 yen per person, but the quality of sushi is more than 5,000 yen. The pictures listed here are from the Shibuya location and this is the only location I've been to. If these assortments don't make you full, I would recommend to additionally order Large Serving Salmon Roe or Sea Urchin. 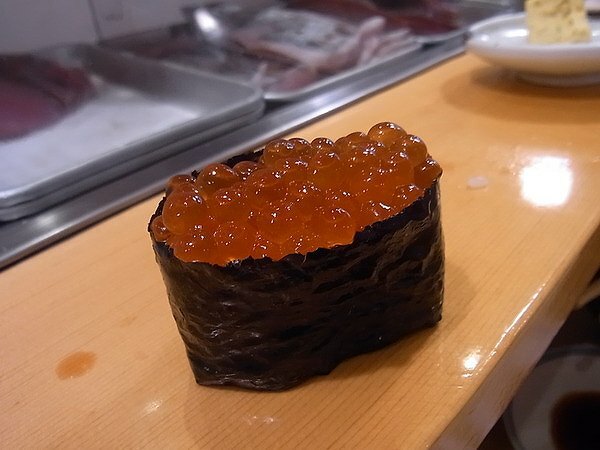 If you don't like Salmon Roe or Sea Urchin, try some Grilled Sushi like the above. 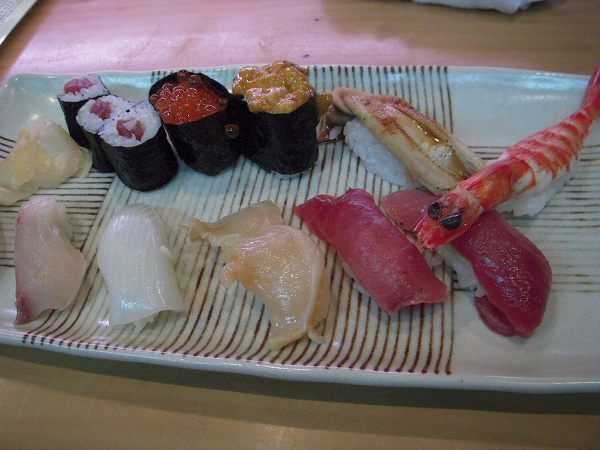 Of course, you can order piece by piece and create your own sushi assortment. 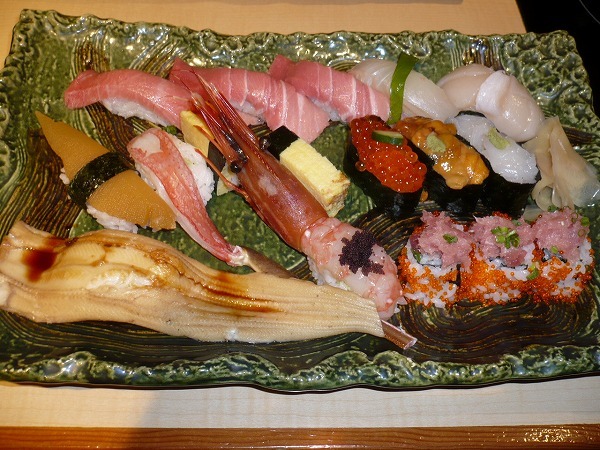 Also, the sushi assortment they serve for lunch is very reasonable around 1,000 yen. 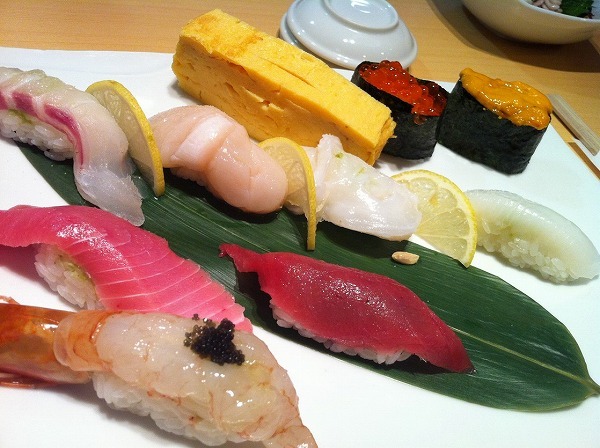 Prices: Chef's Special Sushi Assortment 2,940 yen, Ultimate Sushi Assortment 2,100 yen. By piece from 105-630 yen.